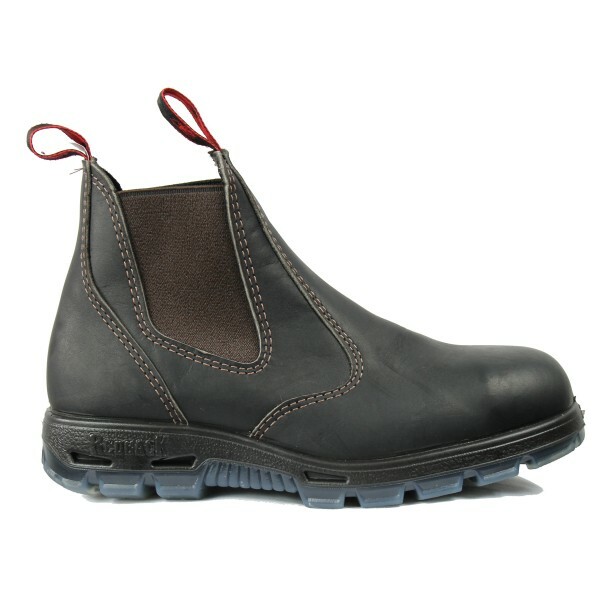 3 piece leather is 2.5 mm thick: 20% thicker than average boot leathers. These are built to last. 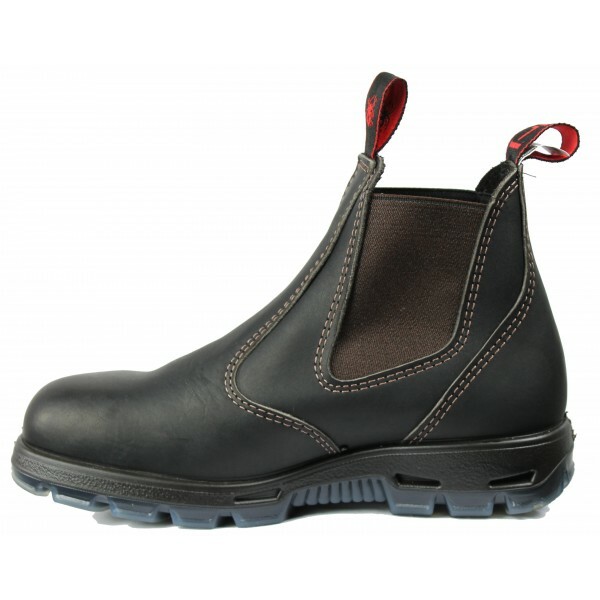 6" Slip-on boot features 100% full-grain brown leather with an easy off/on design. 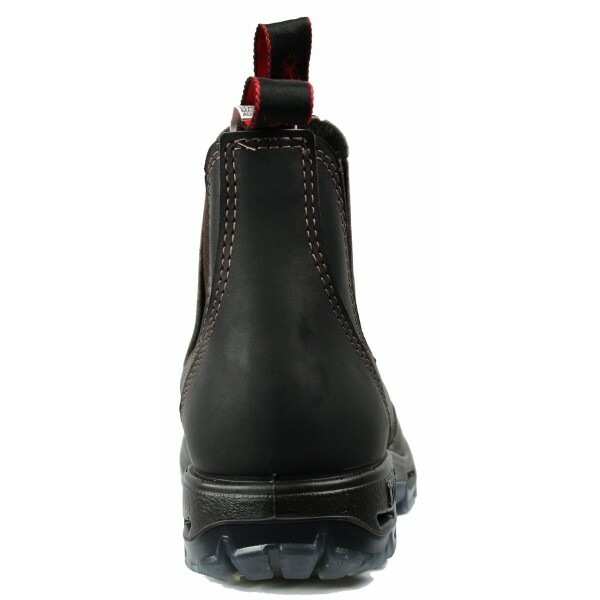 The TPU (Thermoplastic Polyurethane) soles are oil/acid/slip resistant while the. PU (Polyurethane) shock-absorbing mid soles reduce stress on legs and back. Electrical Hazard Safe: meets and exceeds ASTM F2413-11 standards for Electrical Hazards. Impact/Compression: Steel Safety Cap meets and exceeds ASTM F2413-11 standards for Impact & Compression. 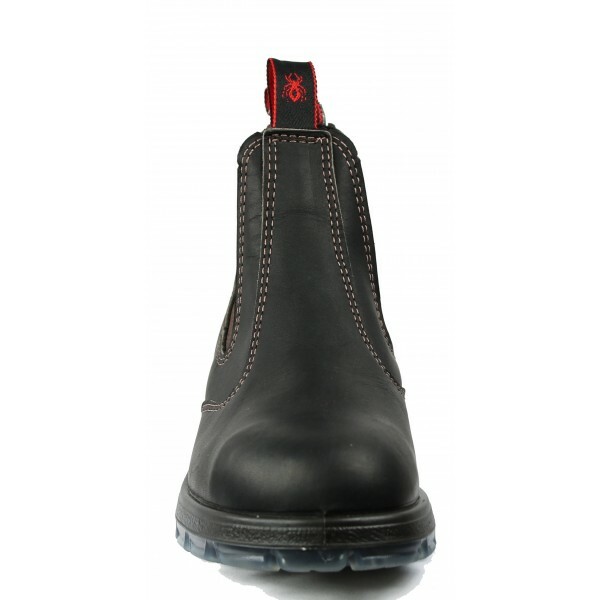 The original Redback steel cap boots. 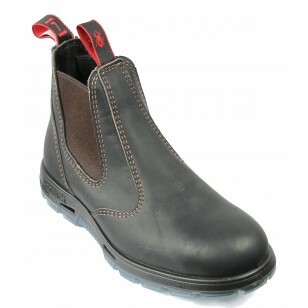 This boot has been selling well with us for decades because they are good! Its as simple as that!